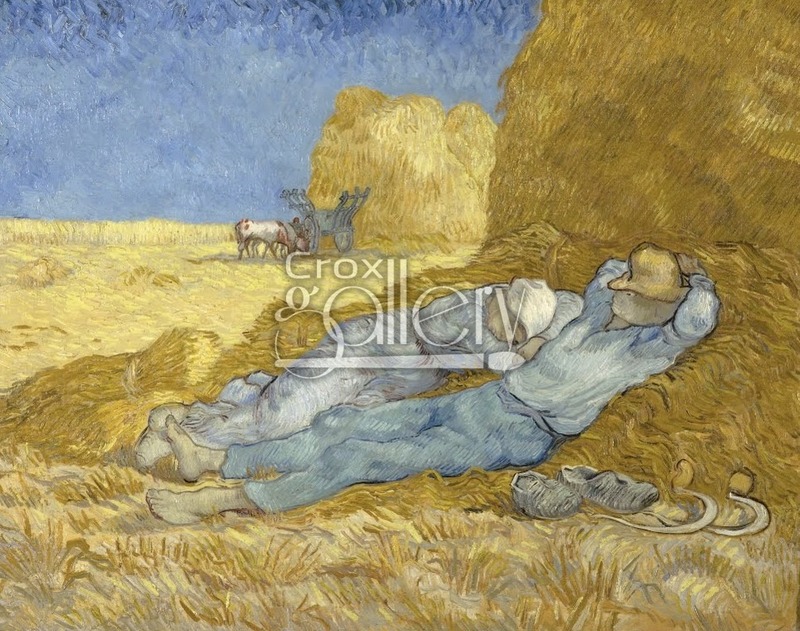 Painting "The Siesta" by Vincent Van Gogh, Hand-painted reproduction. 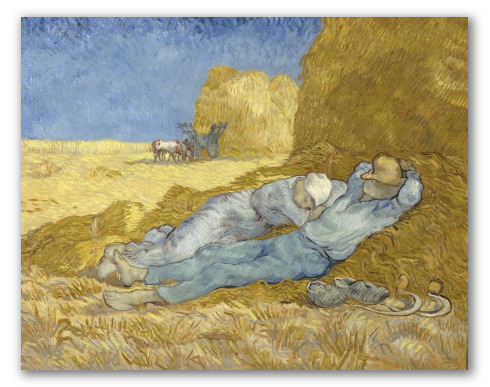 The Siesta was painted by Vincent Van Gogh while he was at a mental institution, in Saint Remy de Provence, France. Vincent tells his cousin in a letter that the composition is inspired by one of Millet’s drawings. Although the idea is copied, the experts ensure us that in this painting we can strongly appreciate Van Gogh’s personal style, characterized by the chromatic construction of contrasts in different complementary colors: blue/violet and yellow/orange. This painting is in Orsay Museum, Paris.